Future Van Lines is a full service moving and Storage Company, we have a crew of professional local movers in Maryland, Washington DC, Gaithersburg MD and Baltimore. Baltimore Local Movers which will work fast, efficient, and will provide you with the best relocation service available. We are licensed and insured and have all the right credentials to service customer's needs. Remember no matter how big or small the job; we have the experience and the staff to handle local movers in different places of US. Through Future Van Lines full packing service, you can request moving supplies delivered free of charge to your door if you wish to pack yourself, or you can hire our expertly trained, courteous professionals to pack your belongings at Maryland, local movers Washington DC, Baltimore and local movers Gaithersburg MD, and move them to a new home, office, or storage facility. In most cases, the entire process takes just one day. Future Van Lines offers you Maryland and Washington DC – in order to protect your household against loss or damage – a basic insurance which is included in your rate. The Service Quote is based on an estimation of the Labour Time. This is the main charge that includes time to wrapping, loading the truck, driving to the second location in Gaithersburg MD and Baltimore local movers, unloading the truck and unwrapping. The final quote will be based on the actual labour time, from start to finish, on your move date. We have a minimum of 3 hours of work plus 1 hour of travel time/truck fee. Travel Time: It’s the time from our office to your origin and back from your destination to our office. Thus, the Total Estimate Quote includes. Supervised crew, trained and professional. For bulky items over 250 lbs, company Regulations require a 4 men crew. Gas, tax, fuel, mileage and tolls. Full protection of your furniture with moving pads. Basic liability policy of $0.60 per pound per article. 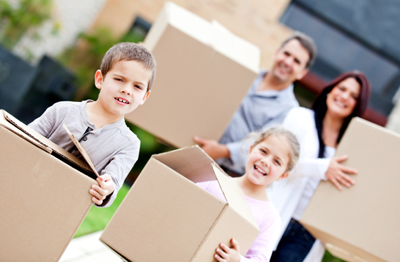 For additional coverage contact us two weeks prior to your move date. One month free storage if necessary. Packing services/materials (BOXES, TAPE, BUBBLE, ETC.) are not included. Please note that packing materials will be charged only accordingly to what will be used as requested for your move. Thank you for considering Future VAN LINES for your move. For more information please feel free to contact us any time. Residence lbs # Movers Hrs. *All figures are based on approximate data.